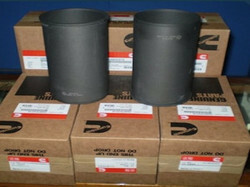 We are involved in trading, exporting and retailing best quality of Diesel Engine Spare Part to our customers. Offered Diesel Engine Spare Part is manufactured by our vendor using best quality and longer functional life. Being the leaders in the industry, we offer Cummins B3.3 Engine Parts of fine quality. 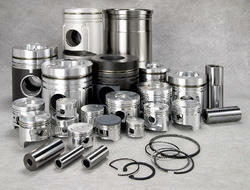 These engine parts are precisely engineered using latest technology methods by the manufacturers. They are highly valued for their durability, better performance and long running life. Our team assures for the safe and timely delivery of these engine parts. Additionally, it is provided at the industry leading rates to the clients. Irrespective of the size of the machine, it has a spare part and the spare part needs constant maintenance, repair and over-haul. generators will supply the spare parts needed for almost all the types of generators and engines which are in the market today. We boast of any time delivery and replacement of the parts because we are a reasonable stock of all the fast moving spare parts available with us. We also have extensive arrangement with all the components involved in the complete supply chain of delivering the spare parts for generators. We will deliver a gamut of specialized spare parts to any kind of location irrespective of it being a construction site, hotel, farm, or municipality. We are very well positioned in terms of stocks and location to deliver spare parts like fuel filters to cylinder head, from cylinder blocks to crankshafts. We can also deal with complete replacement of engines or alternators of all leading brands at very reasonable prices. Generators not only repair, maintain and overhaul the parts, we also provide electrical parts and system up gradation components like Automatic Transfer Switch, Load Sharing and Synchronizing Panels, Electronic Engine Governing Systems and tailor made Control Panels as per customers’ requirement. 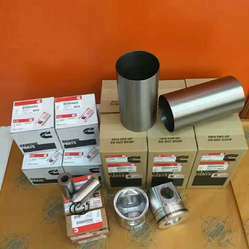 We deal in all parts of Genset engine till 2500 Gasket kit, Piston, Liner & Rings Kit water pump, Cylinder Body , Valve , Seat, Guaide, Nozzal, Pump Parts, Turbo & Turbo Parts, Cylinder Block, Crank Shaft, Cam Shaft, Connecting Rod, Air after cooler, Main & Conn. Rod Bearings, Service Filters ETC parts. Looking for Diesel Generator Parts ?